So I'm sporting nubs even nubbier than normal! This means black is good and Essence - Black is Back is my "go-to" black. Black alone is boring though so here's Glam Polish - Would You Believe? which I bought from Rainbow Connection. Would You Believe? is a clear base with holo purple, pink, blue and silver micro glitter and circle glitters. A pretty, sparkly, girly mani which I rocked on a girls night out with my bestie! 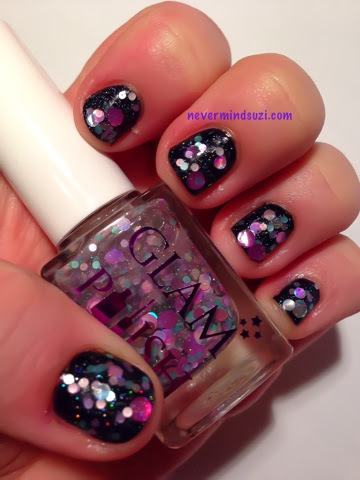 Black is Back Blue Circle Glitter Essence Glam Polish Holo Micro Glitter Pink Purple Rainbow Connection Silver Sparkly Would You Believe? 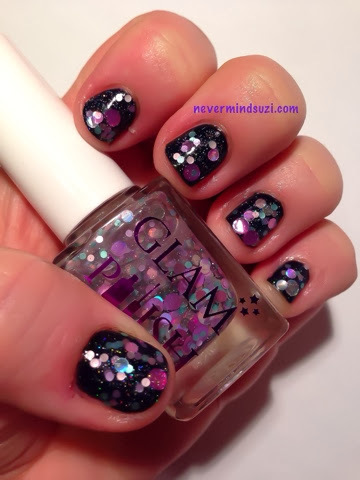 Labels: Black is Back Blue Circle Glitter Essence Glam Polish Holo Micro Glitter Pink Purple Rainbow Connection Silver Sparkly Would You Believe?